You may have recognised the heading being an adaption of Shakespeare’s most known quote. But the question seems to be actually important and it arose on a Virgin Train service. 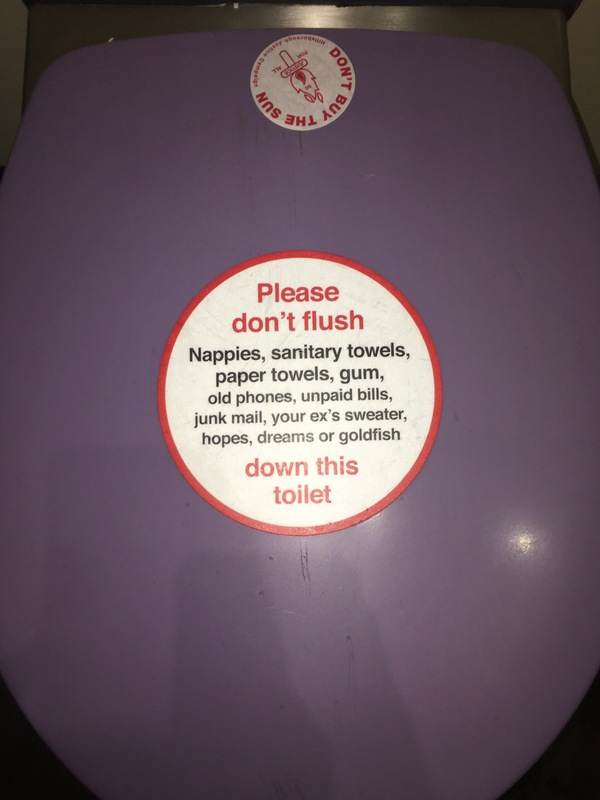 Probably every toilet on any train or plane around the globe has a sign telling you not to flush certain items in the toilet. Virgin Train probably takes it not only very seriously but also further than all the other trains I’ve ever travelled with. After I locked the toilet door, a voice came out of the speakers and listed all items that should not be flushed. As it were quite a few, I couldn’t remember the full list. But luckily, there was a huge sticker on the toilet with the full list of items. My personal favourite are “unpaid bills”, which leads to the conclusion that you are probably allowed to flush paid bills. 🤔 Not quite sure whether you should do this. But, never mind! What is your favourite? The right thing to do!